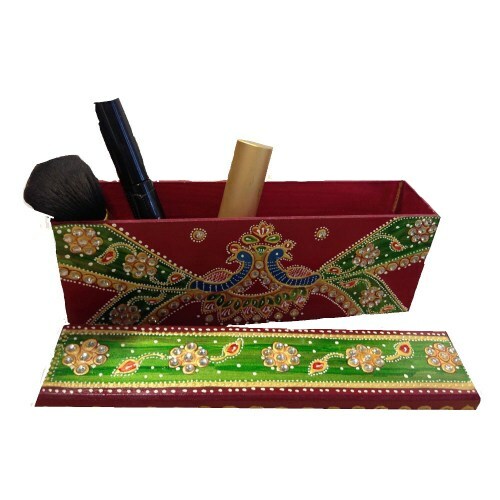 A beautifully designed box to hold various items such as lipsticks and pens. This beautiful, quirky, colourful box has a gorgeous, artistic, unique design of two peacocks. This fabulous painted box is decorated using stunning red, green, yellow and blue colours and sparkling silver crystals. A perfect little way to keep all of your pens, lipsticks, make up tools and stationery in a safe place while creating a beautiful ornament.